Alasdair and Fiona Downes took over Le Poteau in January 2017, after falling in love with it one early Autumn afternoon in 2015. Alasdair was born in Glasgow, Scotland’s largest city, while Fiona was born on her parents’ dairy farm in the tiny village of Port Logan on the South West coast of Scotland. 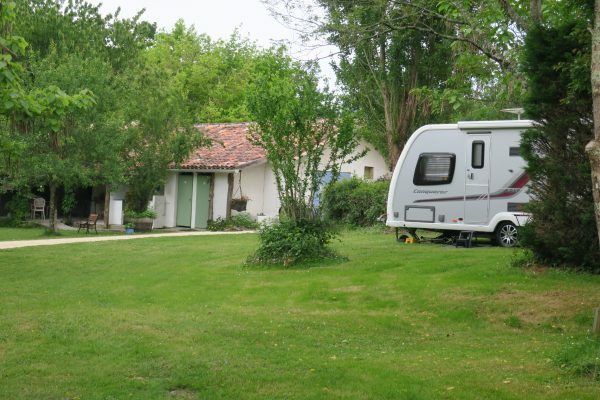 Alasdair has had two careers before arriving at Le Poteau. Pursuing his love of food, he started off as a chef and then moved into hotel management. His second career saw him become a director of a number of education companies, mainly looking to help learners to develop and access worthwhile careers. Fiona started her career in software marketing. She learned a lot – including the fact that she didn’t want a career in software marketing. While making up her mind about her future career, she made a sudden and fairly random decision to find a job in France. She spent a challenging (having to learn French from scratch) but amazing year working for a lovely family near to Lyon and formed lifelong friendships. This instilled in her a love of France, it’s wonderful culture and kind, welcoming people. On returning to the UK she trained as a teacher. For the past nine years she has been Head Teacher of a Primary School near Newcastle; a great job, working with incredible children. 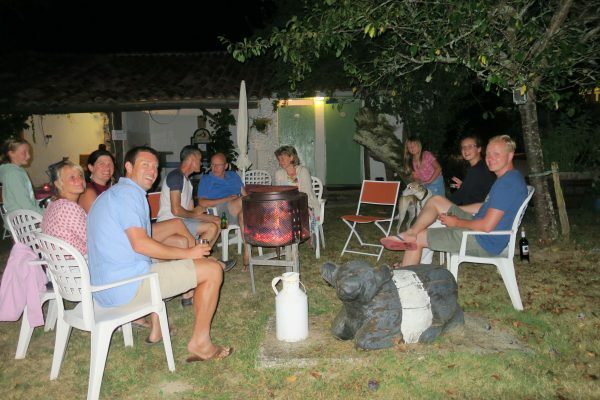 Together we aim to create a welcoming, friendly, beautiful and spotlessly clean location for your holiday; either in one of our gites, in a tent, caravan or motorhome. We’ll rush around (well we might stop for the odd chilled moment) while you relax, unwind and absorb the peace and calm of this special little spot. Time to breath and regroup. The beautiful Gers countryside is incredibly peaceful and teeming with animal and bird life. We love to potter around the numerous little country lanes. There’s always a great view or fabulous village round the corner. As you’ll see from our Activities Page, there’s plenty to keep all the family occupied in the surrounding area. So we hope you will enjoy the many events and activities on our doorstep, enjoy our meals and try out the wonderful bars and restaurants within easy striking distance of our campsite.